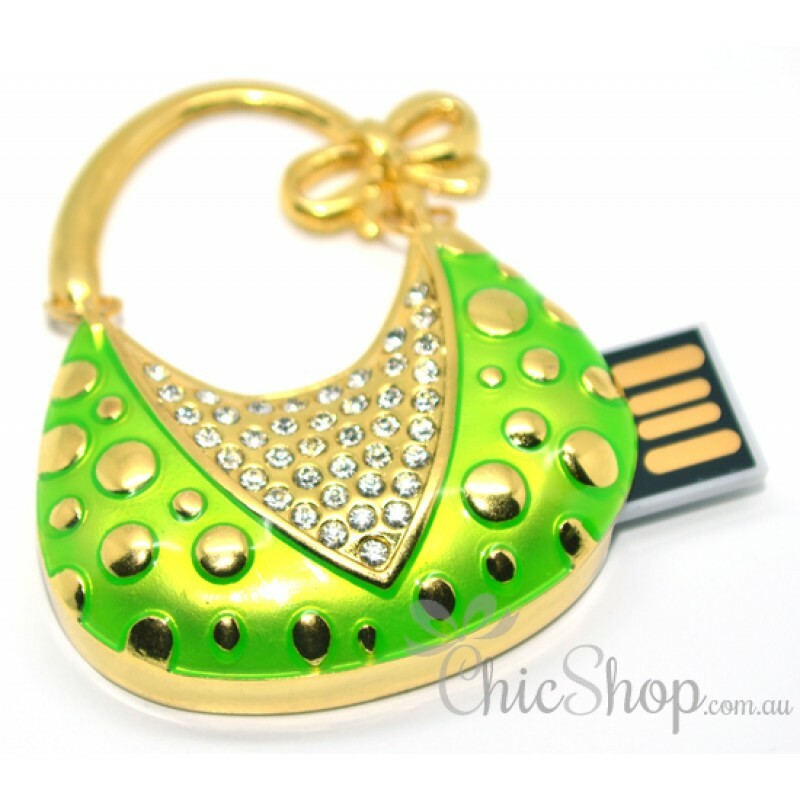 A great looking and well-made decorated with Rhinestone, Handbag-Shaped stylish USB flash drive is a necessity for any lady with an ideal fashionable taste on their wardrobe including gadgets. The stylish Handbag shaped USB Flash Drive of 4GB in our store is customized for ladies. It is made of high quality materials and durable. This stylish USB flash drive is definitely a good gift and a perfect item for a loved one.